When studying in the United States you need a sim card that allows you to talk, text and stream, but also stays within your budget. 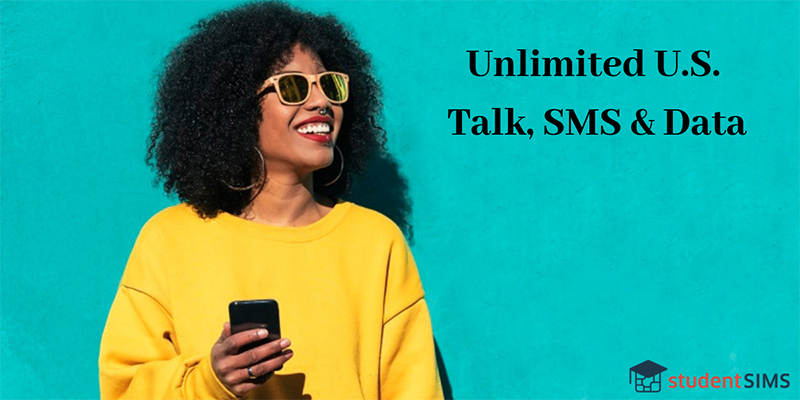 studentSIMs provides international students with US SIM cards for their unlocked GSM mobile phones without the hassle of a contract or credit check. If you don’t already have a SIM card order one for free from studentSIMS and have it delivered at no charge. Once it’s received (or if you already have a SIM card) you can activate it right online. Once your SIM card is activated with a studentSIMS plan you will receive an email with your new US phone number. Plans start at just $25/per month and have a 100% money-back satisfaction guarantee. * Price excludes shipping, activation fee and tax.